Find companies based on your own search criteria. 2 Ducks Galleries Wedding Photographer, capturing moments of your perfect day and turning them into memories in every image. The laughs, the tears, everything! Look back on your wedding day in years to come and remember the day as if it was yesterday. AA Decorative Events are specialist venue dressers who hire out chair covers, centrepiece’s, backdrops, wedding DJs, mood lighting and more, across the whole of the North West. Laser cut wedding stationery designer and engraving specialist. 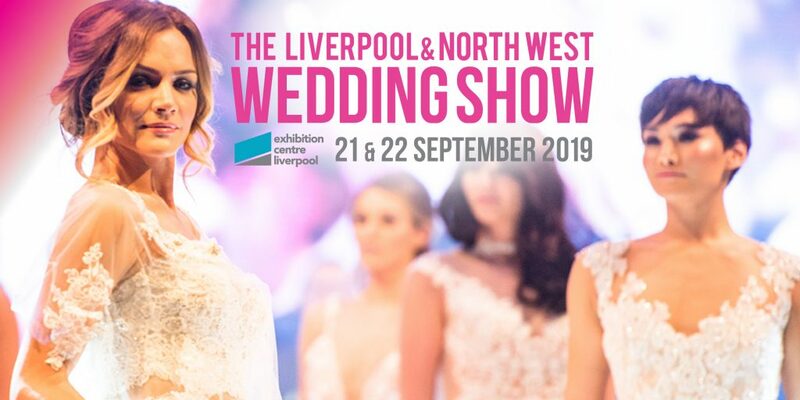 Andy J Photography is a full time professional wedding photographer with a passion for providing a great set of images for your big day, based in the North West I have over 12 years experience in wedding photography and am a qualified member of the RPS – Royal Photographic Society. Andy currently photographs around 30 – 40 weddings per year and has covered the vast majority of venues throughout the North West. Andy always photographs in a relaxed and informal manner so that you can enjoy your day with the peace of mind that Andy J Photography will capture all the moments that your day will bring. Attire Menswear is a dedicated family run business having over twenty years experience, and appreciate that your wedding day is one of the most important days of your life. We want to make sure that you look your best for friends and family and especially your bride. Celebrating 10 years in the industry this year! Providing over 800 weddings a year specialising in bespoke wedding planning, venue styling, entertainment and offering an array of in-house quality products and services to create your memorable wedding day. Let our dedicated team bring your lifelong dream into a reality. Creative and artistic byasha wedding photography team specialise in capturing joyful images of couples in love. We offer the perfect blend of fine art portraiture and documentary wedding photography to create timeless images of your beautiful wedding day. Every wedding has it’s own unique story. Tell us about yours. Carden Park is located within 1000 acres of Cheshire countryside for your dream wedding. Offering beautiful venues including the outside Carden Gazebo you can share your big day with up to 350 friends and family. Plus enjoy the 196 bedrooms for your guests, spa for pre wedding pampers and golf for pre wedding games. Century Wedding Cars – special cars for your day. We cover all areas of the North West (and further afield). We offer an exquisite selection of vintage, classic and modern wedding cars. Our cars can seat between 2 and 7 passengers and all complement each other perfectly with classic olde English white finish and leather interior. All of our wedding cars are kept in pristine condition and maintained to the highest standards. Stunning rooms, rolling green fields and the roar of the River Dee…Chester Racecourse combines the beauty of the country with the best of this magnificent walled city. Creating lasting memories and capturing those unique moments are a key part of our wedding photography service. Choose bespoke wedding albums tailored to you. We offer traditional albums and Acrylic Ice Storybooks for the perfect finish to your wedding. Speak to Chris for a free one to one consultation. Discover the most stunning bespoke wedding gowns by award winning designers such as Ian Stuart, Ronald Joyce, Kelsey Rose and many more. From simple and elegant to enchanting fairytale. Each individual as you. Working with our in house designer, you will find the perfect wedding dress for your special day. To compliment your dress we have an exquisite range of veils, Tiaras and shoes. In addition to Bridal gowns and accessories we also have a fabulous range of Bridesmaids, Proms and Flower girl dresses. Cloud 9 has been established for 12 years and has a reputation of exclusivity, exceptional personal service, attention to detail is second to none. Relax in luxurious surroundings and enjoy the total experience at our Showroom. Costco Wholesale Corporation operates an international chain of membership warehouses, under the “Costco Wholesale” name, that carry quality, brand name merchandise at substantially lower prices than are typically found at conventional wholesale or retail outlets. The warehouses are designed to help small-to-medium-sized businesses reduce costs in purchasing for resale and for everyday business use. Individual Members may also purchase for their personal needs. Here at Crowne Plaza Liverpool John Lennon Airport we will make your wedding day a truly special one for both you and your guests. Our infamous Art Deco, Grade II Listed building is the superb venue for a wedding with a difference and has superb alternative photo opportunities too. There are catering companies and then there’s D’vine. Catering your event is more than just supplying the food, drink and service. It’s about sharing your passion for a celebration that will fill your memories with joy. It’s about you. Whether you’re throwing a dinner party for friends, planning a beautiful wedding reception or hosting a summer garden party, Team D’vine is here, ready and waiting. Derek Gustard Magic – Derek’s blend of humour and skilled magical entertainment will leave you and your guests with a unique and lasting memory of your special day! Eforea spa was born out of Hilton’s desire to deliver a refreshingly unexpected spa experience—and offer guests a spiritual escape from their increasingly hectic lives. Guests at Eforea spa enjoy services that focus on balance and wellness, and embark on transformative journeys of the senses that help them emerge brighter. If you’re looking for an original, elegant and stunning venue for your big day, our Corinthian Grand facility is the perfect setting. The beautifully restored 19th century property provides the ideal backdrop for the special occasion, with its original Corinthian style pillars, sweeping staircases, fabulously decorated ceiling designs and chandeliers. Rigby Jewellers, in Chester, is an independent company, formed 300 years ago and comprising four family generations. With a passion for exceptional customer service, we offer a truly impressive range of quality jewellery, clocks and watches in modern and classic designs from the most reputable designers and manufacturers. The largest range of invitations in the UK, featuring the latest trends; Lasercut, Metallic Foil, Paisley, Travel, Monograms, Floral, Geometrics along with a wide choice of hand-crafted. With 30 years’ experience our Design and Print team can create an invitation unique to you. Visit us today for exclusive discounts. At Elite Marquees we pride ourselves in giving our customers that personal touch, and therefore would like to offer you the best price and service. Our team can offer you in depth advice to meet the many varied needs of your event. It’s a day that you’ll cherish for the rest of your life. That’s why we ensure that a wedding in an Elite Marquee will be remembered for all the right reasons. Our team of Elite Marquee Hire experts are here to support you and your family on your special day, from erecting the marquee through to ensuring every aspect of the marquees interior is laid out perfectly. Our selfie mirrors use DSLR cameras with photography studio flashes and zoom lenses and allows us to capture the real fun of a party. When your guests deserve the best. Award Winning Exclusive Yacht Weddings Cyprus are a professional wedding planning and management company offering the most unique WEDDINGS in Cyprus! Ceremonies on board Yachts, Beaches, Town Halls and Church followed by an exclusive wedding reception on board our luxury yachts. The ONLY Company in Cyprus to be certified by the UKAWP! Set in 200 acres of parkland, Formby Hall offers 62 individually designed bedrooms and a luxurious spa. We have a range of stylish function suites for up to 250 guests or for a more intimate celebration our L|37 Restaurant. We are also licensed to host civil ceremonies for up to 200 guests. Premier Luxury Casino Entertainment provider in the North West of England serving Merseyside and beyond, Fun Casino Royale brings the Ultimate Casino Experience to your Wedding Party. Fun Casino Royale is a fantastic addition to any event, your guests will be given Fun Money to play from a choice of games on offer and win prizes! Wedding photographer based in Wirral who covers the whole of the North West. We can take an idea and transform it into reality. Our unique, sleek, glimmering creations become a bewitching focal point and add that final touch of magic and glamour to your special event. Please get in touch to receive a full wedding brochure and price list. Prices start from £400.